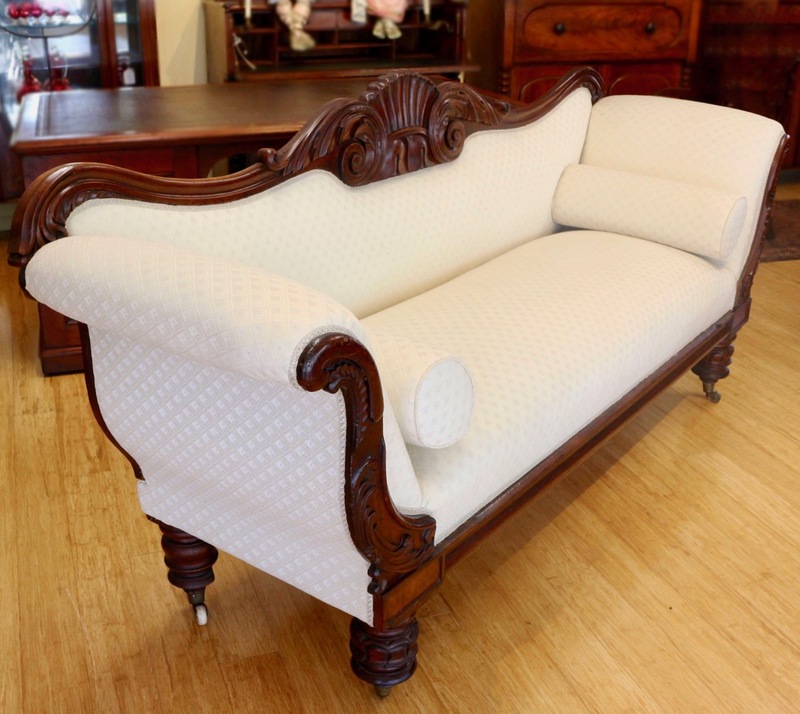 Early 19th Century Colonial Australian Cedar Double Ended Settee, with Thomas Hope style carved backboard, standing on turned and carved inverted lotus feet with fitted brass castors, upholstered in an off-white fabric. 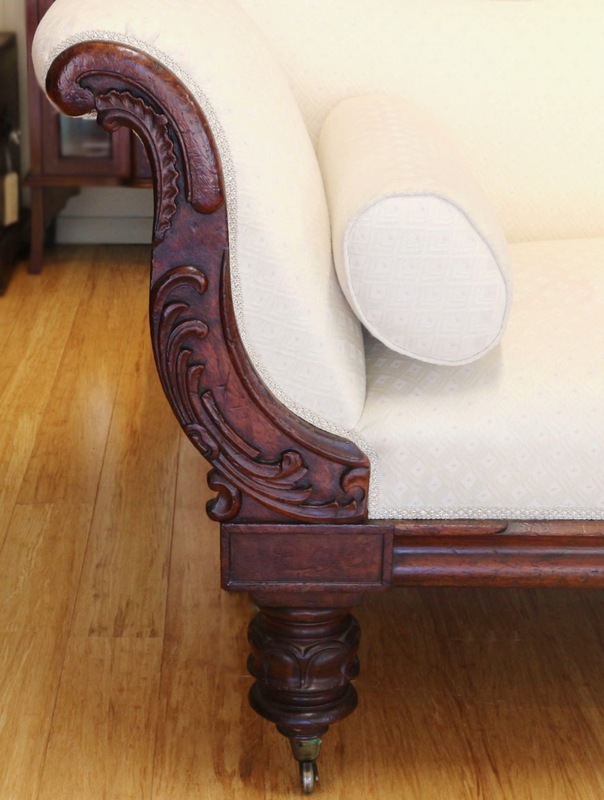 Superbly carved show-wood with very good attention to detail. 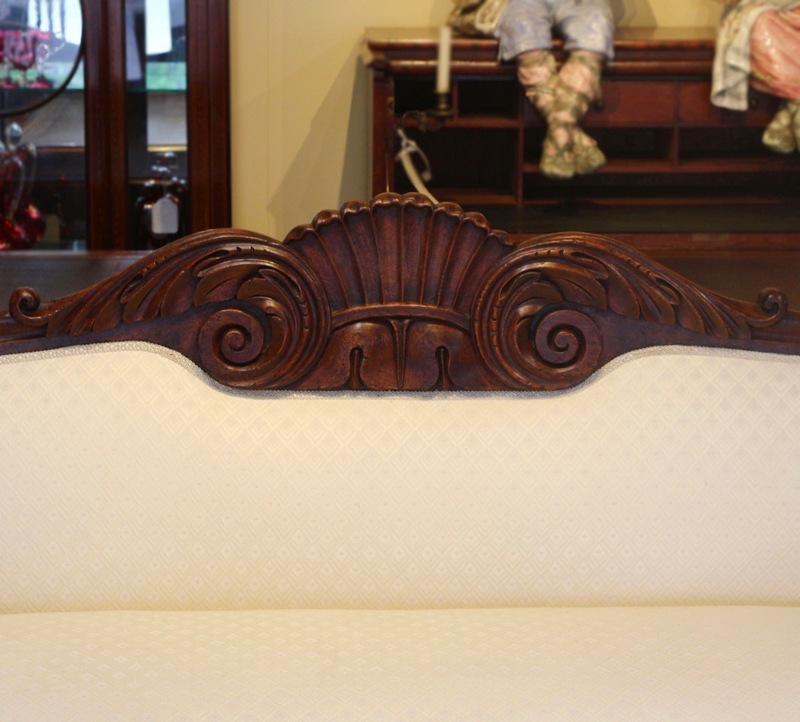 Very good quality early Australian settee. 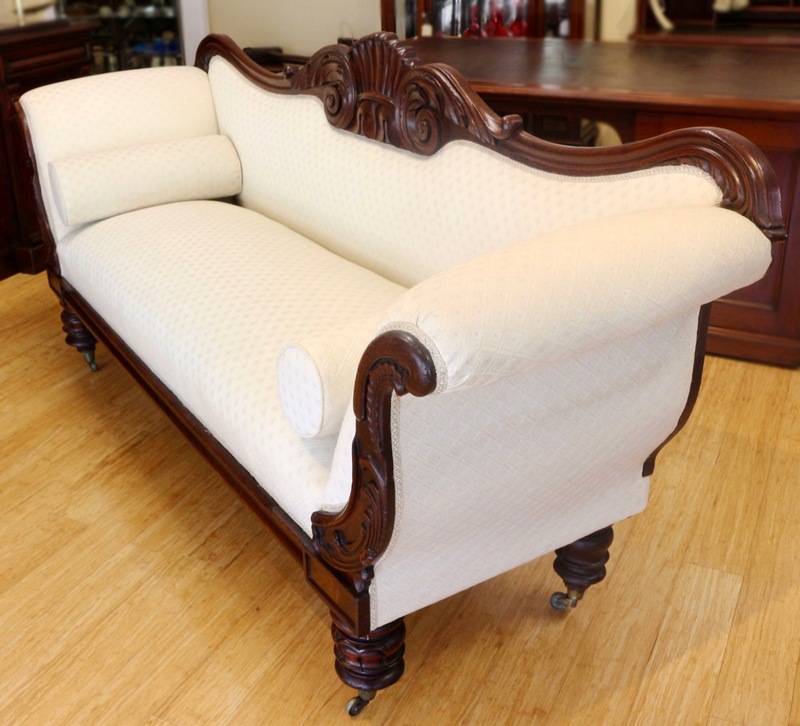 The horsehair padded sprung seat with bolster cushions could be enhanced by deep buttoned upholstery. A rare piece - hard to find this quality these days.